Premier Michael Dunkley advised today [Feb 1] that he has extended the deadline for the submission of the final report from the Commission of Inquiry by one month. “The Commission’s report is now due to be submitted to the Premier by February 28, 2017. 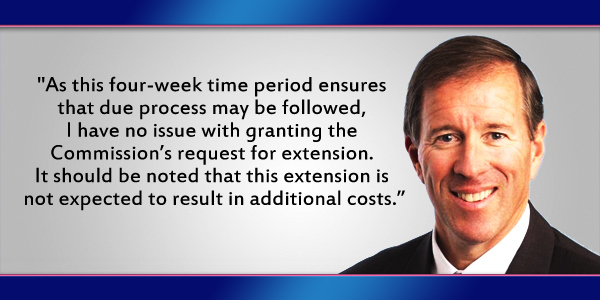 It should be noted that this extension is not expected to result in additional costs,” a spokesperson said. “The public will be aware that the Commission of Inquiry has been charged with investigating the findings of the Auditor General’s report on the Consolidated Fund for the 2010, 2011, and 2012 Financial Years. Keep digging…right on back to the wickedness fostered upon humanity by the colonial/imperialist ilk this island now suffers after? We would be sure to find many answers to many problems if we dug that far…but call me unreasonable will you? Getting all of the I’s dotted & the T’s crossed is understood but come on guys, enough delays. Get this inquiry finished so that the next phase can happen & hopefully get some prosecutions & convictions of those responsible for the mess they put us in. I’d like to get some prosecutions and convictions of the beneficiaries of colonialism; the wickedness levied upon people on this island…KEEP DIGGING!We know who the families are after all – they had the gall to catalog it all! Totally disagree with you Drifter. That’s like telling the 3 Court of Appeals Judges to get on with it on a verdict so you can move on without regard to all the facts. Dumest comment you ever made here. Absolutely brilliant; prosecute the opposition for winning! Sets a great precedent for the country going forward. Subject to “Criticisms”…I would hope the report will contain more than a slap on the wrist for all those who seriously dropped the ball including those now in senior positions and indictments for those who out relatives in positions to directly benefit from government contracts.. Does this mean the COI members are working this additional month for free? it is amazing to me how much money has been spent on this witch hunt by the OBA simply for political purposes. Michael Dunkley should be ashamed of himself. Compared to, say, the cost overrun on the golf course? Did the cost overrun amaze you as well? Me thinks that the former administration and current opposition should be ashamed of themselves. Time will tell. watching…if you’re OK with politicians stealing from you then fine, reimburse me for my portion because I sure as bell and am not! You’re telling me that you find nothing ‘interesting’ about the Port Royal and Court House contracts? Don’t bother answering as I know you will always place your beloved Party before country. It is amazing to me how much money was spent by the PLP Government simply for political purposes and the self enrichment of party insiders at the expense of robbing future opportunities for Bermudians. Former PLP MPs should be ashamed of themselves for burdening the taxpayers and our children with massive recurring operating deficits and incredible debt obligations. keep digging till you hear Chinese people! Many hope upon receiving the report the Premier does something with it, like suggesting the police investigate any wrong doing! Just how much time is enough ‘to allow for communications for those that testified” and may now be criticised and so (they) can have more time to respond???!!! WHAT??? They HAD THEIR CHANCE DURING THEIR TESTIMONY and chose NOT to cooperate/called it a witch hunt etc. DREB refusual to cooperate – and now they are given MORE TIME ! !